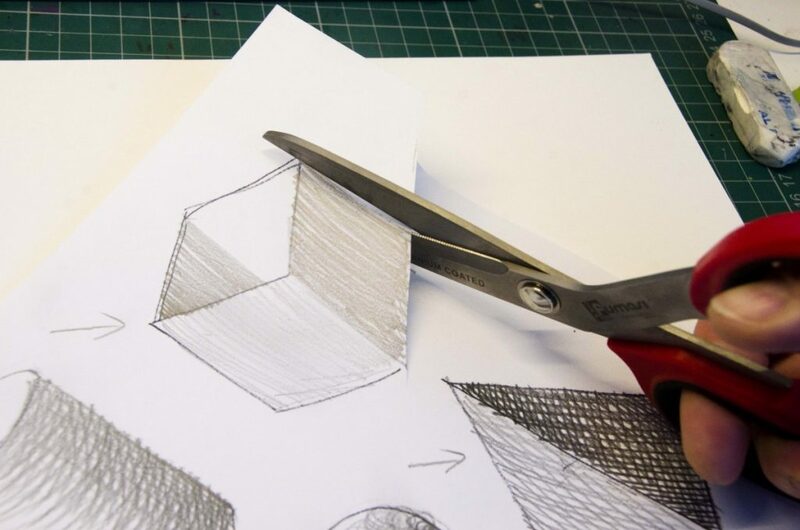 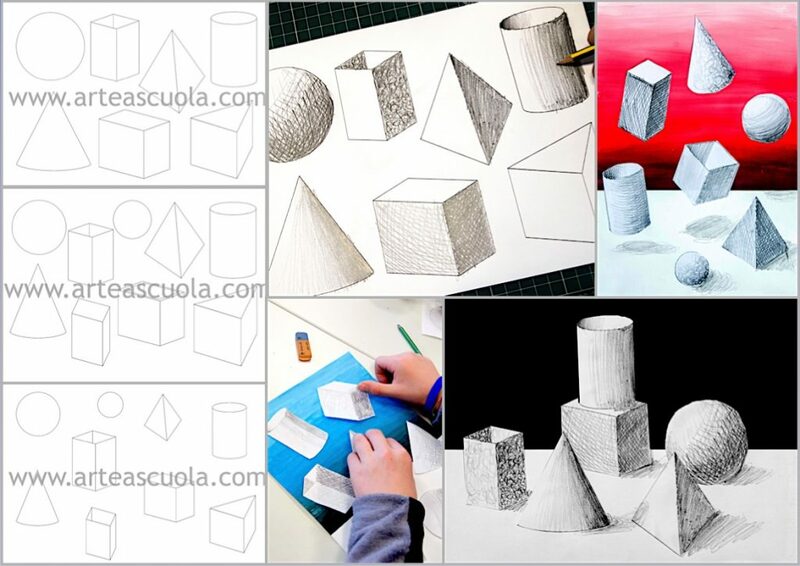 Here are three worksheets with 3-D forms of various size and shape, ready to be shaded. 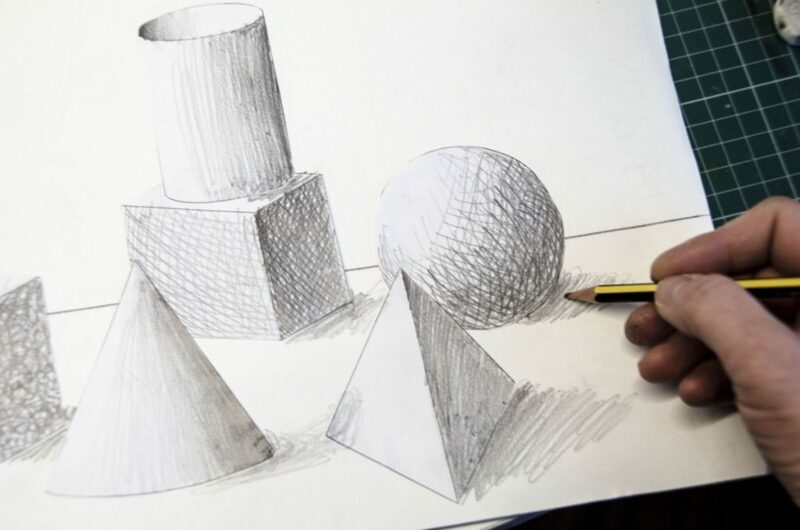 The worksheets are useful for practice shading on different kinds of forms, both with flat and curved surfaces. 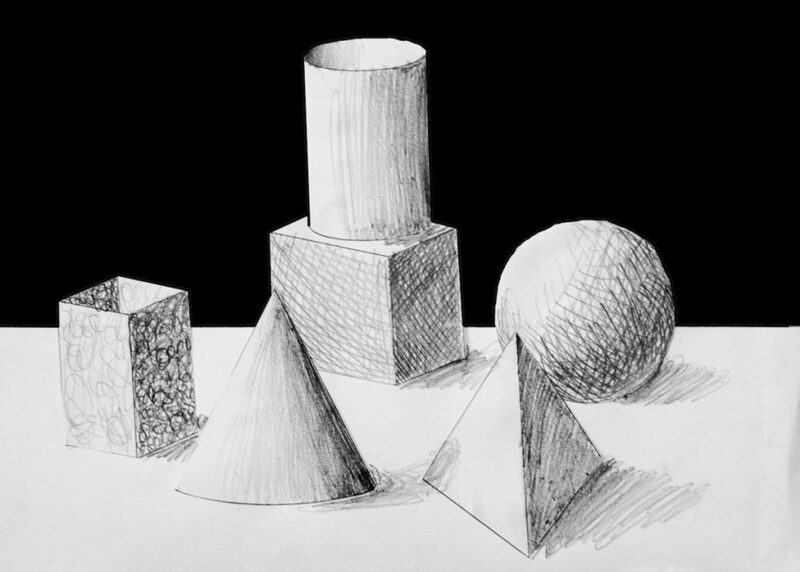 You can decide where the source of light is and practice different kinds of chiaroscuro (crosshatching, scumbling, shading…). 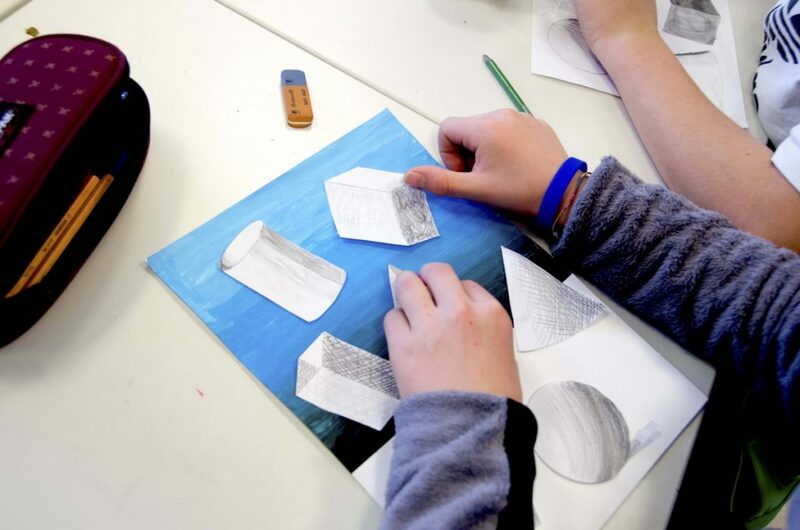 After shading the forms you can cut them out and create different compositions with any mixed media technique. 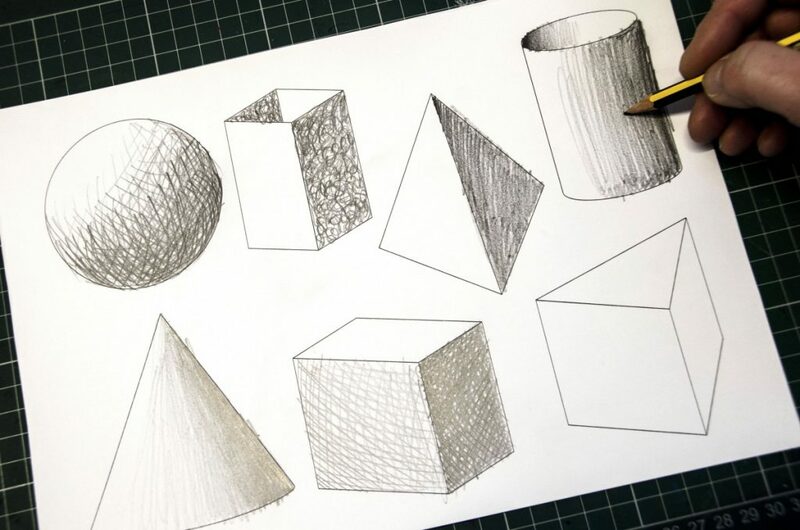 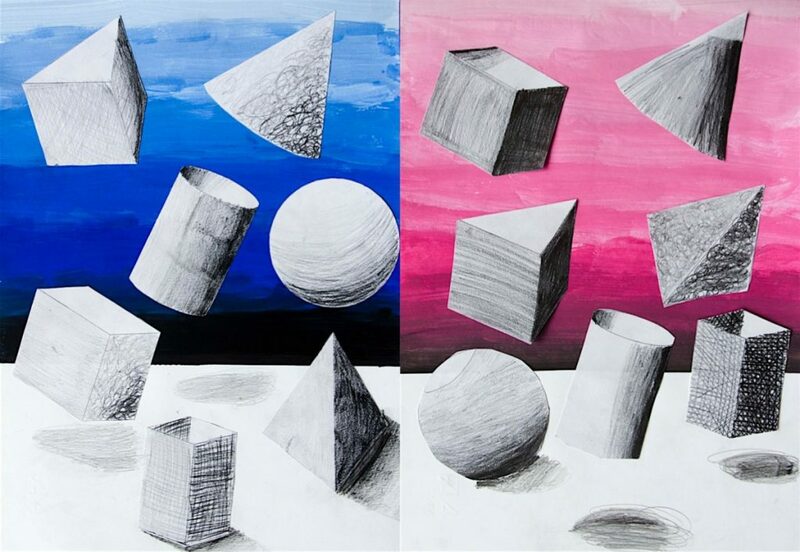 You can find suggestions for a lesson about shading in the pictures below.